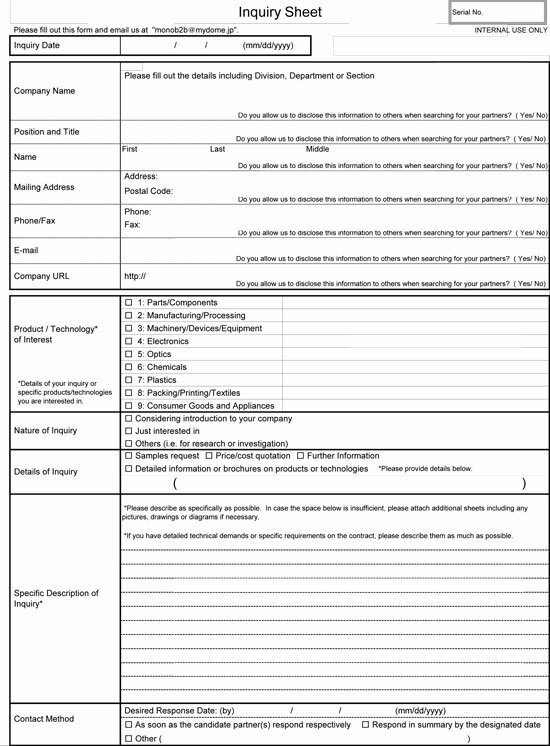 To contact us about your inquiry , please download the "inquiry sheet" from , fill it up and send it by e-mail. We will search for Osaka regional companies who can fulfill your requirement based on the "inquiry sheet". Contact us through the following E-mail address!